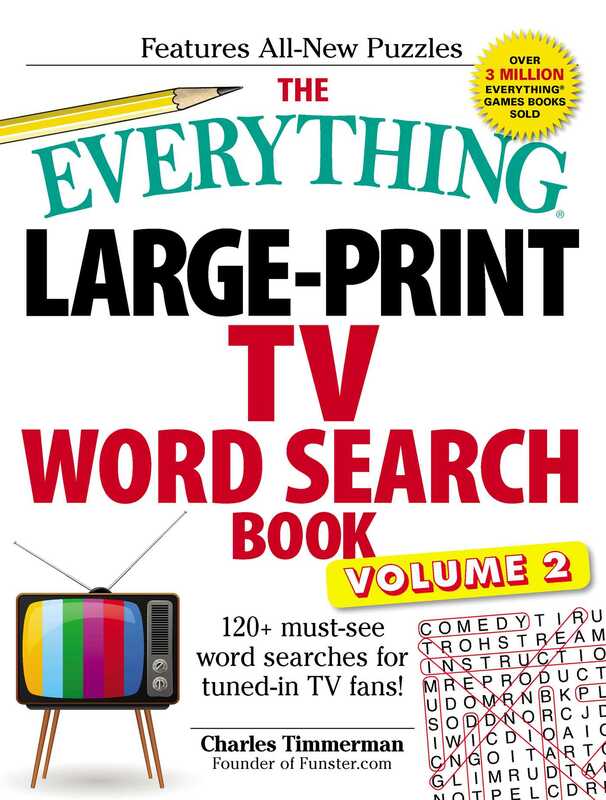 120+ must-see word searches for tuned-in TV fans! This new collection of word search puzzles is perfect for TV aficionados and word lovers alike, helping to boost vocabulary, memory, and problem-solving skills. Puzzle master Charles Timmerman provides word search fans with new and improved puzzles, each with a unique television theme—from classic favorites to the newest shows, and from sitcoms to police procedurals. You can test your knowledge with topics such as TV stars, family dramas, television through the years, animated shows, sports on TV, and award-winning series. Even the most dedicated couch potato will want to turn off the TV and try these entertaining, challenging word search puzzles!